The work-in-progress presentation runs one-night-only on April 2nd at the New Hazlett Theater! 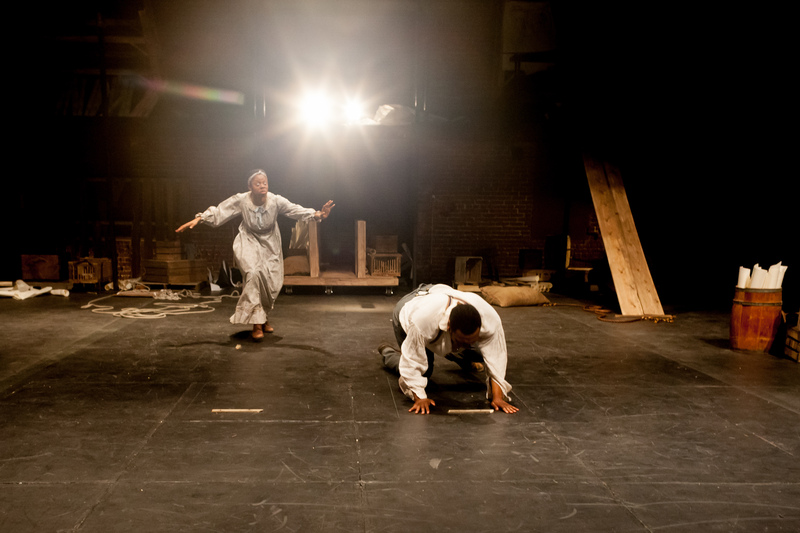 Pittsburgh (February 1, 2015) – Hiawatha Project, a Pittsburgh-based theatre company in its fifth year dedicated to creating new and original performances exploring specific social questions, is proud to announce its next theatrical work: JH: Mechanics of a Legend – based on the haunting American Folk Tale of John Henry – is the story of a young, black veteran of the Union Army, caught in the confusion and fury of a nation still battling itself. A work-in-progress presentation will run one night only at the New Hazlett on Thursday, April 2nd at 8:00pm as part of their CSA (Community Supported Art) Series. 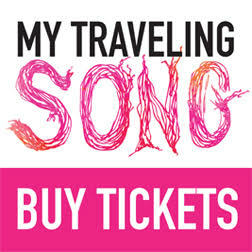 The show is suitable for adults, and tickets can be purchased through the New Hazlett’s website and cost $20 (www.newhazletttheater.org). JH: Mechanics of a Legend is written and directed by Hiawatha Project Artistic Director and co-founder, Anya Martin. “I first became interested in the legend of John Henry as a child – I remember singing the song in 4th grade – and thinking how sad it was that he died with a hammer in his hand – and yet we sang the song so triumphantly in class – belting out the “Lawd Lawds” above the piano in class.” Martin’s childhood fascination in the story of John Henry was rediscovered when she moved back to Pittsburgh in 2008, and heard a radio broadcast about the legend of John Henry. “Many versions of the legend tell that JH died at the Big Bend tunnel in WV just 90 miles away from Pittsburgh,” Martin recalls. “Ghost hunters say that you can still hear his hammer ring underneath the earth.” Through her original work exploring the story of John Henry, Martin seeks to measure the myth, the man, and the machine, revealing a poetic and dangerous truth inside the machinations of history, rooted in the economics of slavery. The JH: Mechanics of a Legend ensemble also features Kyle Bostian, a theatre artist and educator who specializes in the development and staging of new works including work by Pulitzer finalist and Tony nominee Arthur Kopit and Oscar nominee Lucy Alibar, a dynamic vocalist and newcomer Delana Flowers from Lancaster, PA, and recent Point Park University graduate Tom Driscoll of Chicago, IL. Carnegie Mellon scenic design MFA graduate Britton Mauke is the set designer, and Wendy Arons, an Associate Professor of Dramatic Literature at Carnegie Mellon University, serves as script advisor. The New Hazlett Theater CSA presentation represents the culmination of an intense creative development process over the last year. JH: Mechanics of a Legend is not only supported by the New Hazlett Theater, but is also sponsored in part by Pennsylvania Council on the Arts as well as private donations through Hiawatha Project’s fiscal sponsors, the New Hazlett Theater and Fractured Atlas. Please contact Hiawatha Project about opportunities to cover and document this exciting and unique process—and mark your calendars for the performance on April 2nd, which will culminate in an artistic conversation after the show, inviting the audience to play the critical role of helping shape this compelling new work. The legend of John Henry, the only African American tall tale is based on the story of a real man. The truth embedded in the dawn of a new nation and the American machine age. His legacy left to us in song by early American minstrels and echoed today by Harry Belafonte, Johnny Cash, and Bruce Springsteen; the mighty railroad man, John Henry, races a steam drill to his death and leaves his fabled hammer to Polly Ann, his mysterious lover. JH: Mechanics of a Legend melds the language of mechanics, century old ballads and primary historical records to explore the legend of John Henry. “John Henry famously races a steam drill and wins – but then tragically dies – so how much does he win? The steam drills was the great technology of the time. So many modern interpretations of John Henry play upon the ideas of man vs. machine – and I wondered – what are we racing against now? What are the hammers in our hands that we are so happy to have – and yet may kill us – or at least we may die with? Hiawatha Project creates devised theatrical projects about specific social questions through the use of myth, movement and collective creation. Founded in 2010, Hiawatha Project’s inaugural work Camino, written and directed by Anya Martin, was a poetic exploration of current immigration policy and praised as “courageous” and “smart, sharp and witty” (Pittsburgh City Paper) with “scenes of imagination and poetic insight” (Pittsburgh Post Gazette). The Hazlett Theater was transformed in 2004 into the New Hazlett Theater with the support of the local arts community. Today the nonprofit theater is a thriving and active community asset that presents a variety of performance art disciplines to the Pittsburgh community. The New Hazlett Theatre is located at Allegheny Square East, Pittsburgh, PA 15212. Community Supported Agriculture model, New Hazlett’s CSA series allows patrons to support local artists by purchasing a ‘share’ and in turn receive access to fresh, new works of art.